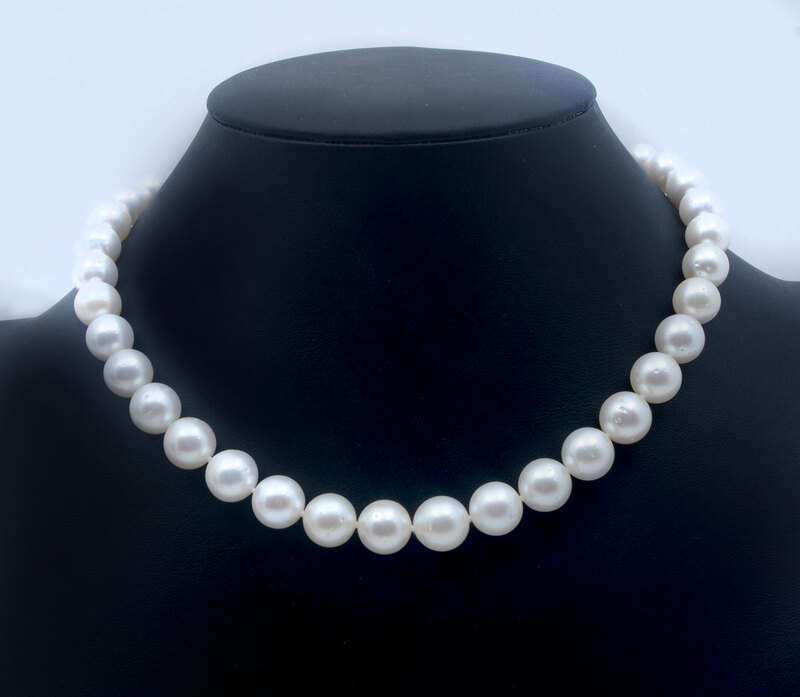 14K SINGLE STRAND OF SOUTH SEA CULTURED PEARLS: White lustrous graduated pearls form this elegant necklace accented with a 14K white gold 11.0mm ball clasp. 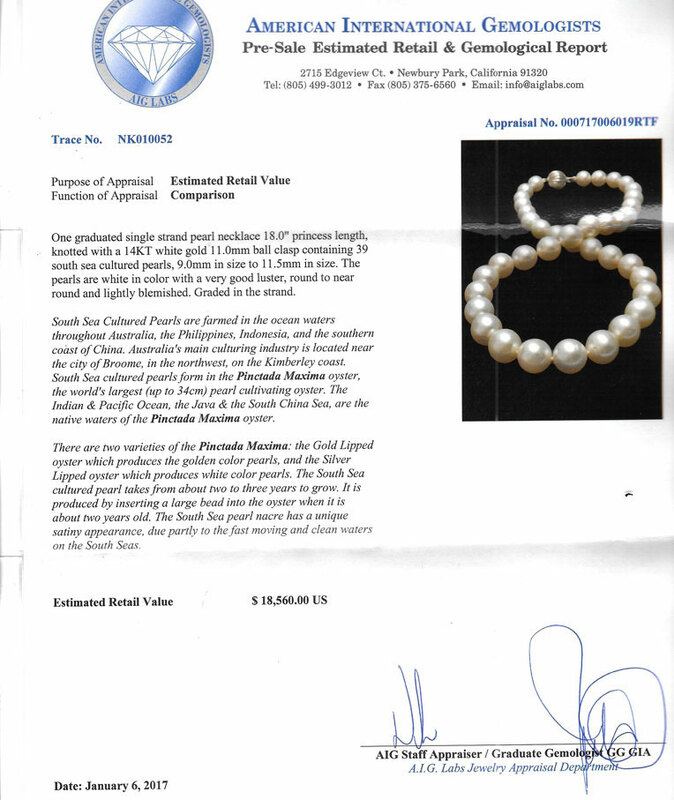 39 pearls range from 9.0mm to 11.0mm. Lightly blemished. 18'' in length. Sold with American International Gemologists appraisal for $18,560.